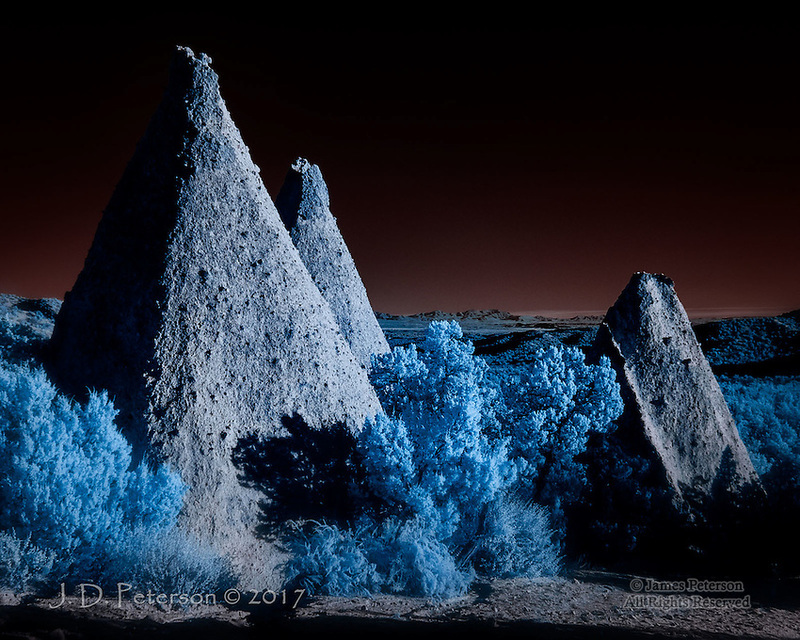 Obelisks, Kasha-Katuwe Tent Rocks National Monument (Infrared) ©2017 James D Peterson. To challenge our complacency about the planet that sustains us, Mother Earth occasionally shares her visions from other worlds. This one is near the Cochiti Pueblo in New Mexico.